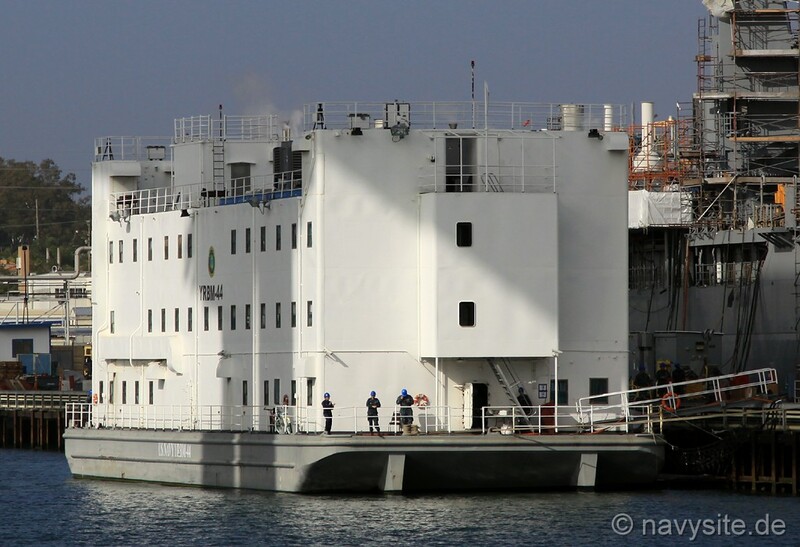 YRBM 44 is one of the Navy's non self-propelled Repair, Berthing and Messing Barges. 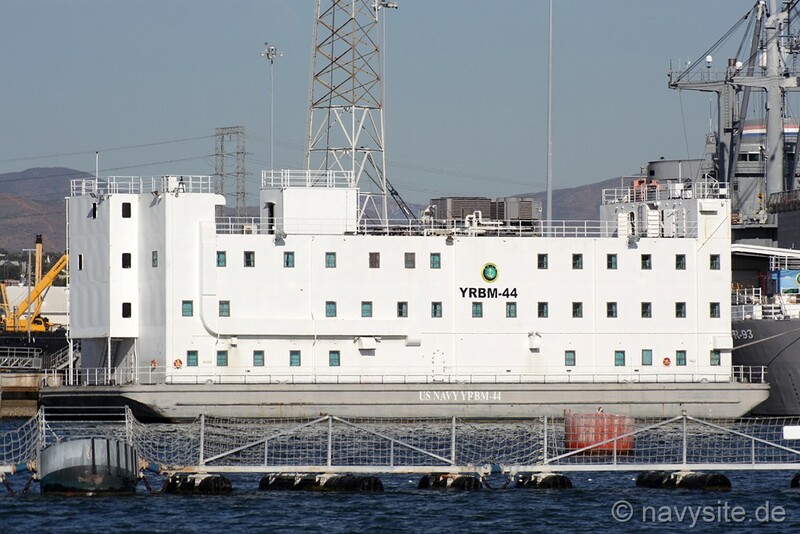 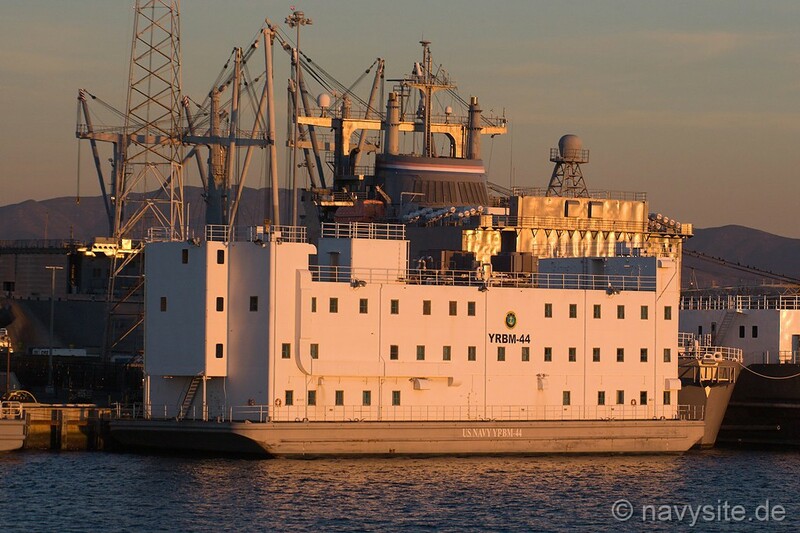 The photo below was taken by me and shows YRBM 44 at San Diego, Calif., on September 29, 2011. 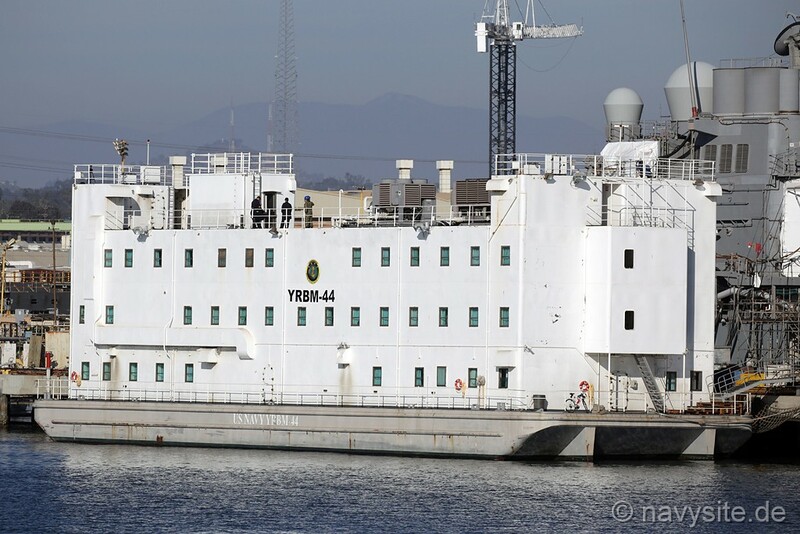 The photos below were taken by me and show YRBM 44 at San Diego, Calif., supporting the crew of USS HARPERS FERRY (LSD 49) while their ship is overhauled. 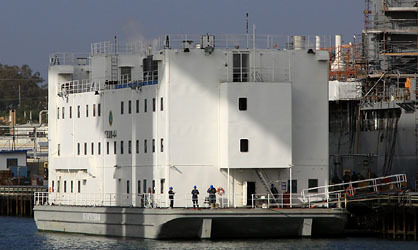 The photos were taken on May 8, 2012. 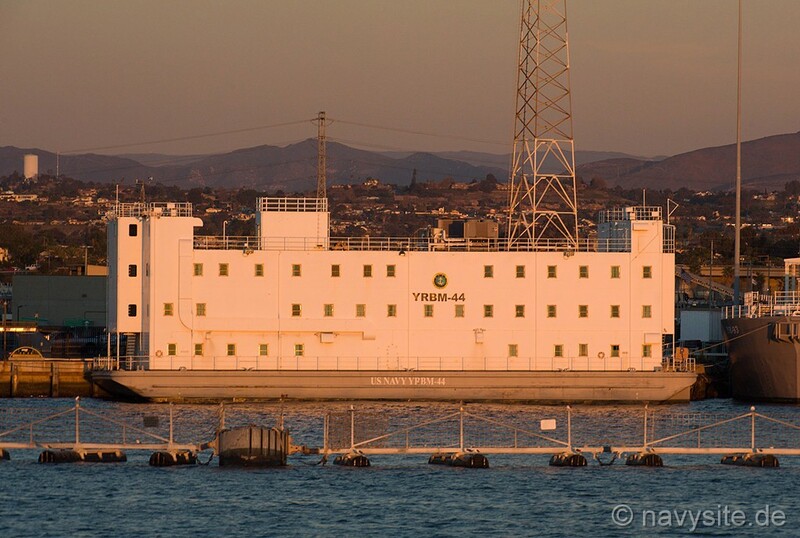 The photos below were taken by Michael Jenning and show YRBM 44 at Naval Base San Diego, Calif., on December 27, 2014. 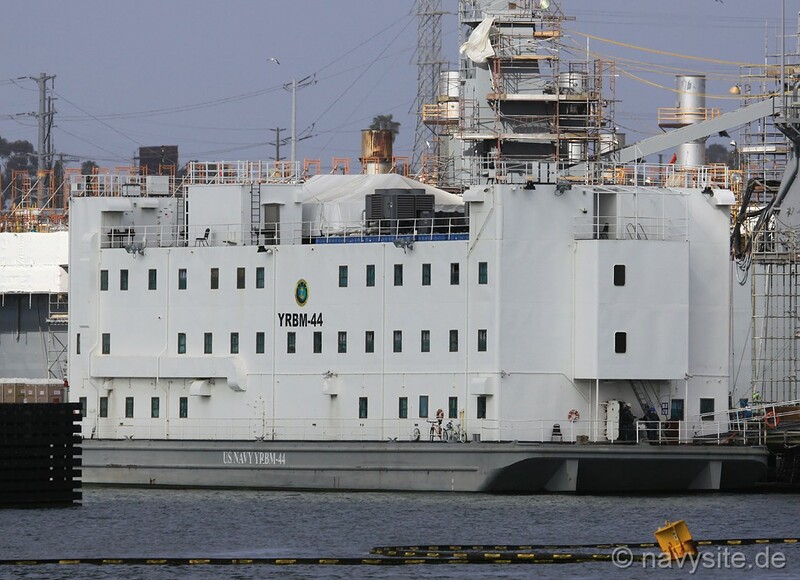 The photo below was taken by Michael Jenning and shows YRBM 44 at San Diego, Calif., on October 2, 2015. 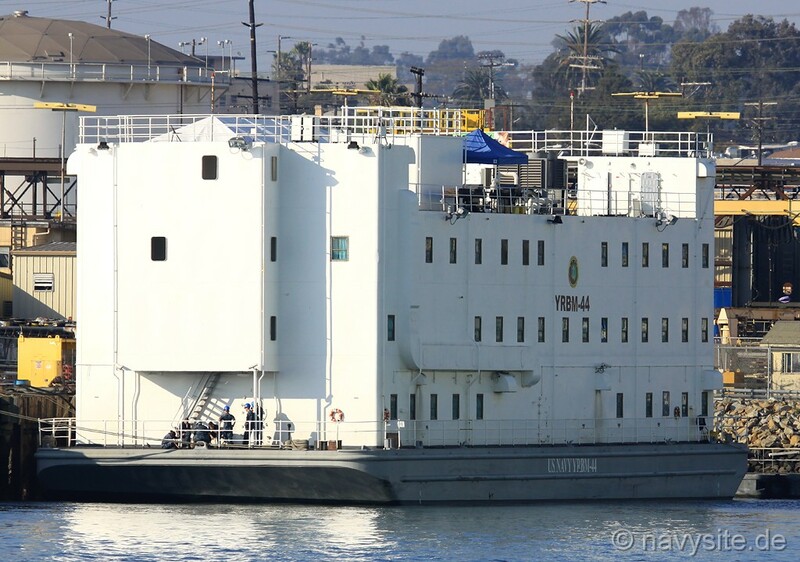 The photo below was taken by Michael Jenning and shows YRBM 44 at Naval Base San Diego, Calif., on April 18, 2016. 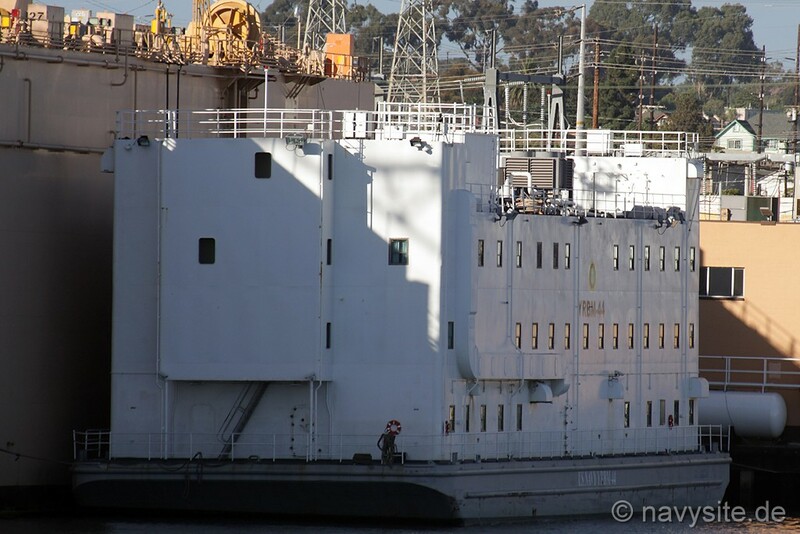 The photo below was taken by Michael Jenning and shows YRBM 44 at BAE Systems San Diego Ship Repair on September 28, 2018.